Martabak has always been an all-time favourite simple yet irresistible supper / dessert for Indonesians, it’s the ultimate diet buster for some or a mood booster for others. Nod your head if you identify with either groups (I bet all of us are nodding our heads off like a kokeshi now LOL!). Da*n 'dem glorious grated cheddar!!! Fortunately, my belief is shared and heard by a handful of young entrepreneurs. 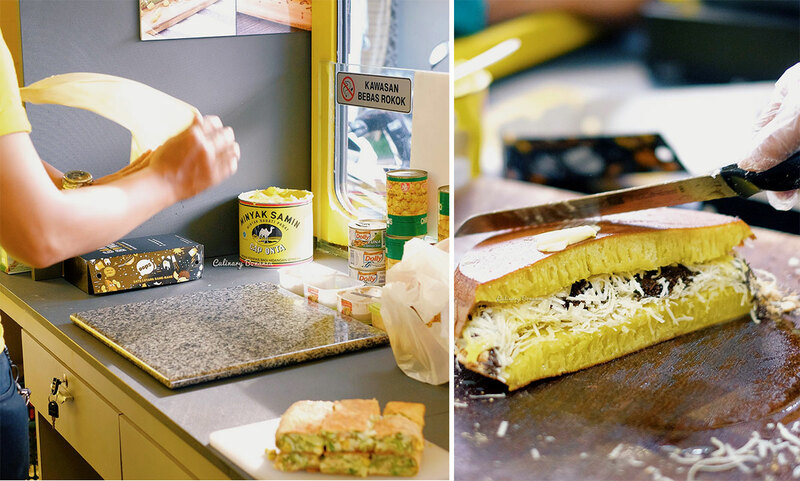 They are the owners of Martabak Gangbang, a relatively new martabak stall in West Jakarta. 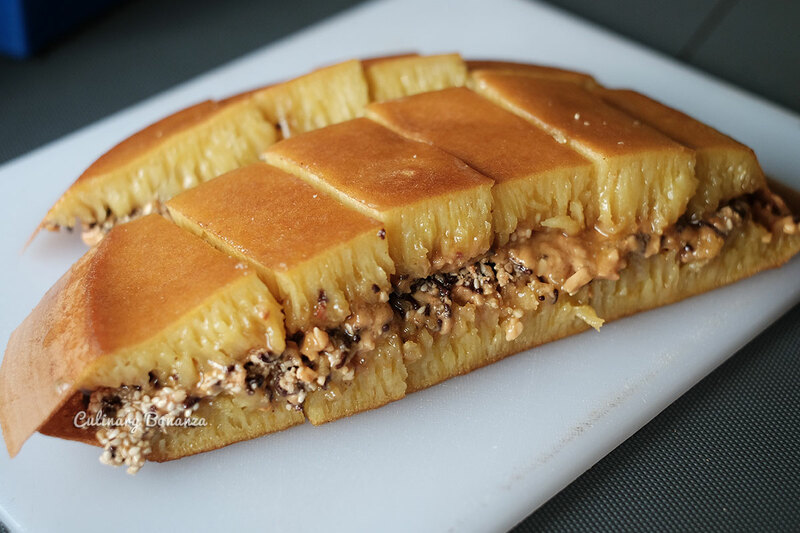 Briefly described, Martabak Gangbang started as the brainchild of several young Indonesian entrepreneurs who had the idea of promoting premium Indonesian dessert, and martabak is their entry point. I was informed that there are plans to expand to other types of Indonesian dessert in the near future. The name though, may be quite taboo to say out loud to some (but heck! ), apparently that is the ultimate intention of the owners: to catch people’s attention & memory, other than the promise of one of life's greatest pleasure. Hell, they certainly leave an impression! What I like about Martabak Gangbang, firstly, they stick to the good basics and they well in the taste and quality department. My personal favourite flavour is the Pee-Nuts, which is original flavoured pancake base with Crunchy Skippy, chocolate rice, sesame and crushed peanuts topping. It works especially well for me who's crazy for sweet and savoury flavour combo. And there are other flavours that you should try as well, like the savoury martabak / Martabak Telor, and Martabak Gangbang's signature is Mr. Pete (thick pan-fried martabak with generous beef and stink beans filling). The beans may be off-putting to some, but the taste is quite good actually! 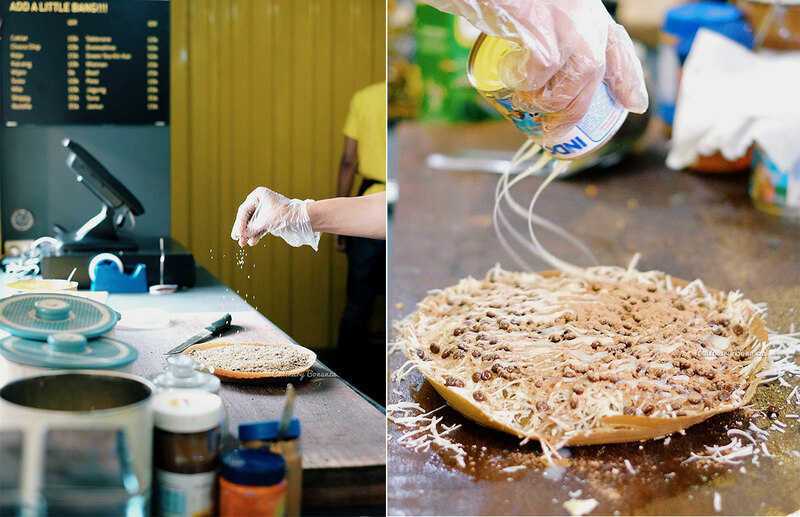 If you find yourself not that adventurous, you can always stick with The Classic (beef only filling), or Corny Tuna (tuna and corn) for Martabak Telor. And yes, for the calorie counters, you can still treat yourself to the slightly less sinful martabak Tipker (crispy cracker-like martabak), such as the Ovo flavour (Ovomaltine spread, cheese and peanuts). This is also another of my personal favourite, because you get the same kick, but with less calories lol. BUT, as a modern martabak stall, Martabak Gangbang does offer slightly more adventurous flavours too, like the Kitty Kat (green tea pancake base with Green Tea Kit Kat & cheese fillings) or P.Diddy (mocca pancake base with Skippy & chocolate fillings) or Gold Digger (pandan pancake base with corn and cheese fillings). You notice the names are quite interesting too? And one of the newest menu addition is named PiCol, a hybrid of Martabak Telor, but with sweet fillings of banana chunks, Milo and sweet condensed milk. Look just how sinful (in a good way) it is! 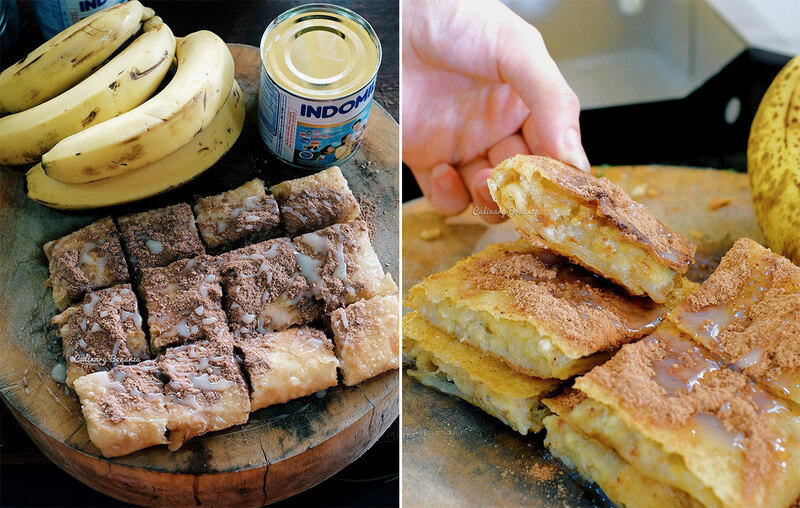 A slice of greasy crispy outside, soft inside with melt-in-your-mouth banana filling! This is one thing I crave! Surprising how many flavors they come out with now. The pandan base looks yummy.